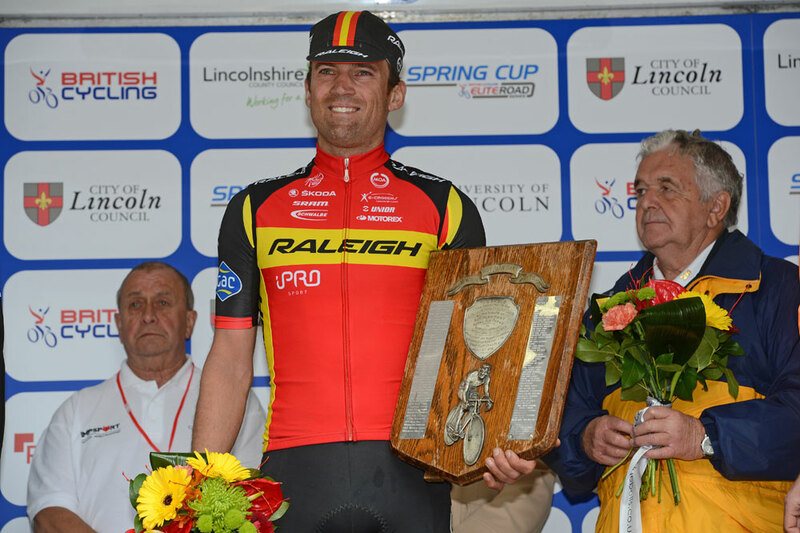 Yanto Barker (Team Raleigh) powered to victory in the 59th Lincoln Grand Prix on Sunday, overhauling a lone breakaway rider on the final climb to take the win and clinch the British Cycling Spring Cup Series. The 34-year-old from London was part of a six rider break which formed mid-way through the race, but Rapha Condor-JLT rival Tom Moses attacked alone in the final couple of laps and established a lead of around 30 seconds. But on the final climb of the tough cobbled one in five Michaelgate Moses was caught, with Barker being joined by Spring Cup rival Marcin Bialoblocki (Velosure Giordana) and Mike Northey (Madison Genesis) in the hunt. Barker had enough left in his legs to take the win ahead of Northey, with Bialoblocki third and Moses fourth, 35 seconds back. He was crowned best Under-23 rider, but Moses was left disappointed after missing out on the win by such a narrow margin. “I’m so pleased and proud to win the Lincoln Grand Prix as it’s one of the biggest races on the calendar,” said Barker after his win. “On a day like today with the wind and rain it was like a war of attrition. The early part of the race saw several crashes as earlier rain left the surfaces slippery, but other factors also contributed to several high profile non-finishers. Four-time Lincoln Grand Prix winner Russell Downing (NFTO) crashed out after a collision with an NEG motorcycle, while Graham Briggs (Rapha Condor-JLT) was left with an elbow injury and withdrew after a spectator stepped out into his path while taking a photograph on the Michaelgate climb. 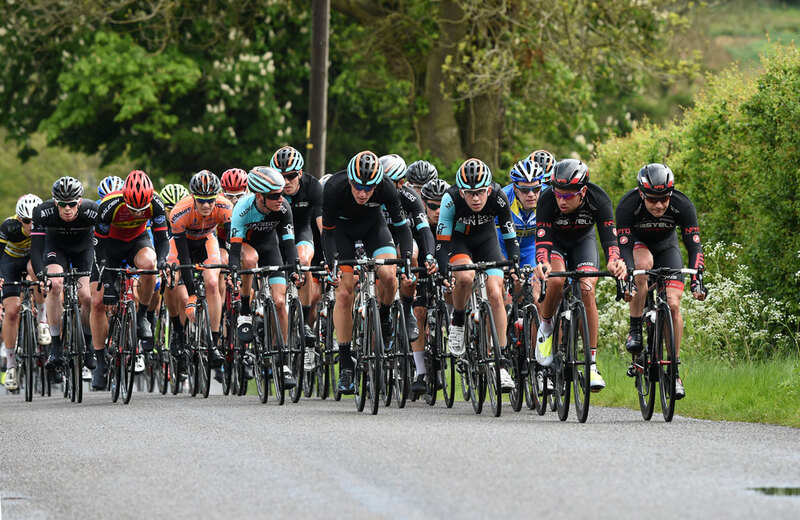 Barker’s win in the Lincoln comes after he was fifth in the previous week’s Wiltshire Grand Prix and third overall in the Tour of the Reservoir. He was level on 69 points with Bialoblocki heading into the Lincoln with his rival getting the edge due to his win in Wiltshire. 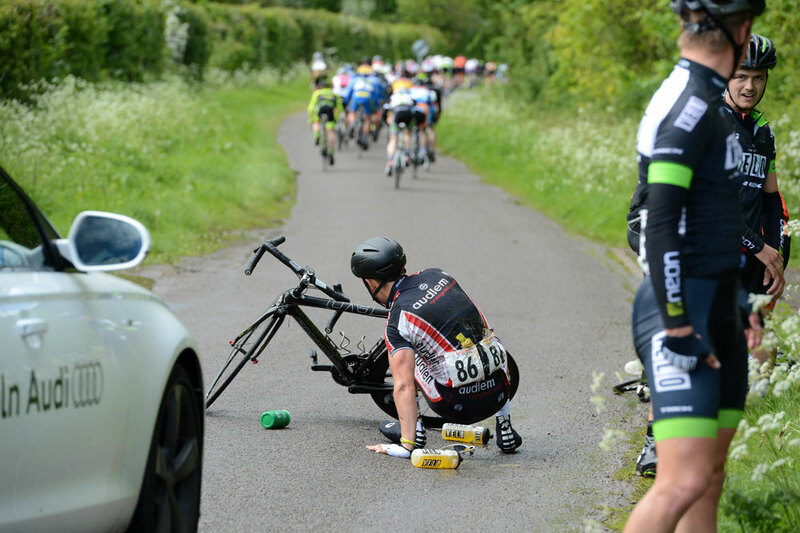 But Barker clinched the Spring Cup by four points, and will also take that lead into the second half of the British Cycling Elite Road Series, the Grand Prix Series, which begins in July with the Stockton Grand Prix.